The carrier will initially run the service on a three-month trial basis, starting from this Monday. 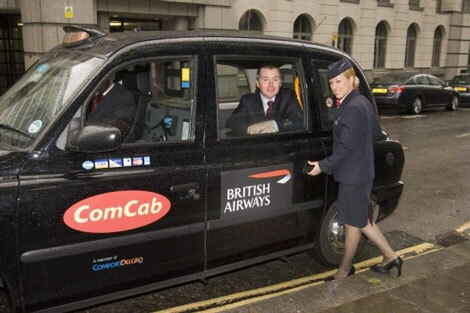 It’s the first time BA has offered such a service to its premium passengers, which entitles Club World and First travellers to a free black cab ride to and from the airport (within a 100-mile radius). Rivals Virgin Atlantic has offered its premium passengers free chauffeur rides to its hub at Heathrow for some time now, and other carriers including Emirates offer similar services. The three-month trial will not be available to Club Europe passengers, or those travelling on discounted fares. BA has updated its Twitter page with the news, along with a link that it says will provide more information later today. The page states that the service will “provide complimentary black cabs and executive cars for premium customers to speed their ground journey to and from London Heathrow Terminal 5”. Passengers travelling long haul to destinations such as Bangok, Singapore and Sydney (which currently depart from T4) are therefore excluded from the offer. It also says that Executive Club members will need to register in order to be eligible for the service, and adds that it is valid for new bookings made between May 18 and August 18. To view this page click here. How do you normally travel to Heathrow? Click here to take part in our survey. BA has also announced it will start a daily service from Heathrow to Las Vegas this October – for more details click here.